After a whirlwind romance, a young woman returns to the opulent, secluded Long Island mansion of her new fiancé Max Winter—a wealthy politician and recent widower—and a life of luxury she’s never known. But all is not as it appears at the Asherley estate. The house is steeped in the memory of Max’s beautiful first wife Rebekah, who haunts the young woman’s imagination and feeds her uncertainties, while his very alive teenage daughter Dani makes her life a living hell. She soon realizes there is no clear place for her in this twisted little family: Max and Dani circle each other like cats, a dynamic that both repels and fascinates her, and he harbors political ambitions with which he will allow no woman—alive or dead—to interfere. As the soon-to-be second Mrs. Winter grows more in love with Max, and more afraid of Dani, she is drawn deeper into the family’s dark secrets—the kind of secrets that could kill her, too. 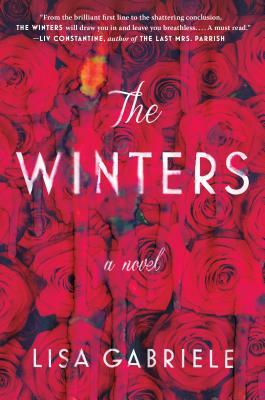 The Winters is a riveting story about what happens when a family’s ghosts resurface and threaten to upend everything. Lisa Gabriele is the author of two literary novels. Her writing has appeared in Glamour, Vice, and Salon as well as various anthologies, including The Best American Nonrequired Reading. She lives in Toronto, where she is an award-winning television producer.